Every now and then, a really exciting new technology comes along. WebAssembly is such a technology: it’s a binary format for executable code (often called Wasm, short for WebAssembly) that can be generated by high-level language compilers, and all the major browsers support it. 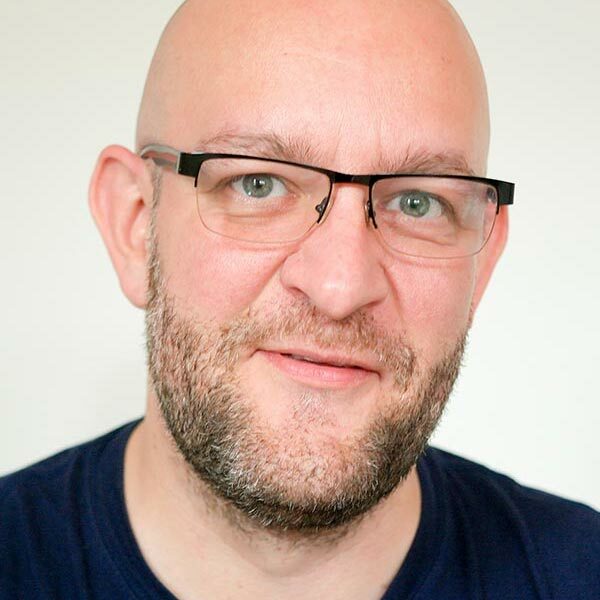 The main intent was to enable languages like C, C++ and Rust, but many other languages are being developed to support WebAssembly as a target. For .NET developers, the efforts of the Microsoft-sponsored Mono project are the most interesting (here is a link to their GitHub repo). Targeting WebAssembly directly is a technically complex topic, but fortunately higher-level tools and frameworks make this easier. Microsoft created the web framework Blazor, which allows you to write web apps in C# and compile them to WebAssembly. The framework uses a modern component based architecture, Visual Studio 2019 integration is already available, and your code executes in any modern browser close to native speed. At DevExpress, we are working hard to bring our own technology to the Blazor platform and we announced an Early Access Preview of a DevExpress component set minutes ago. Since Blazor is still new at this point, we decided to create a free video training course to help you get to know the basics of the environment. The initial four videos are available right now at this URL. We have also published the sample source code in this GitHub repository so you can easily run the demos yourself or work through the scenarios shown in the videos. We are looking forward to your feedback. 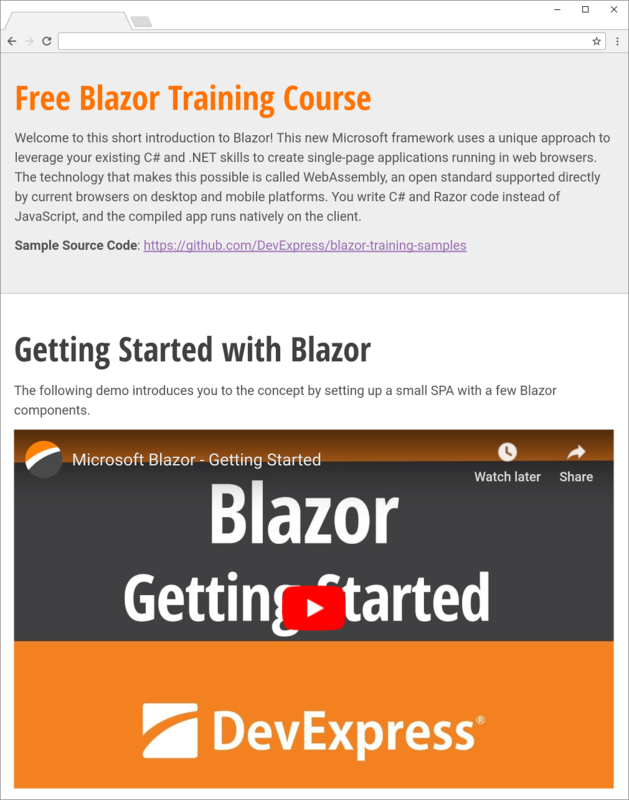 Did this video training course help you get started with Blazor? What do you think about the platform? We have some ideas for content to cover in the near future, but please let us know if you have any specific ideas or questions.